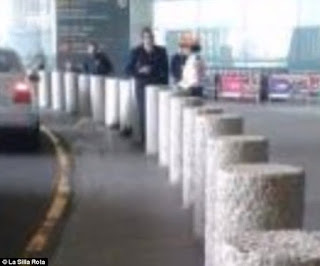 Last November, DailyMail.com ran a story about the hauntings at Mexico's International Airport. It seems that staff was being spooked by the apparition of a little girl, who appeared to be about seven years old, and was often spotted in what was described as Victorian clothing. She carries with her a small ball, and has perpetually untied shoelaces. Although the girl roamed the restricted areas of the airport at all hours, she was most often spotted at night in an area known as the 'graveyard of planes', a section where unneeded airplane parts were stored. 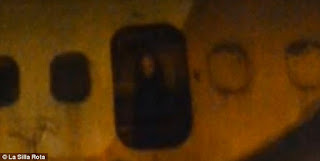 A photo of the young girl was even captured, showing her through the window of an abandoned plane, dressed all in black and with long black hair. But, its another photo that I'm more concerned with, because this photo has recently been posted in a couple of different Facebook paranormal group pages I belong to. This next photo shows a stark contrast to the girl in the first photo...and for good reason. 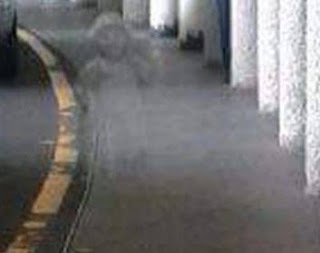 The girl below, shown outside the terminal in a shot allegedly taken by a tourist, is nothing more than the product of a popular ghost photo app! 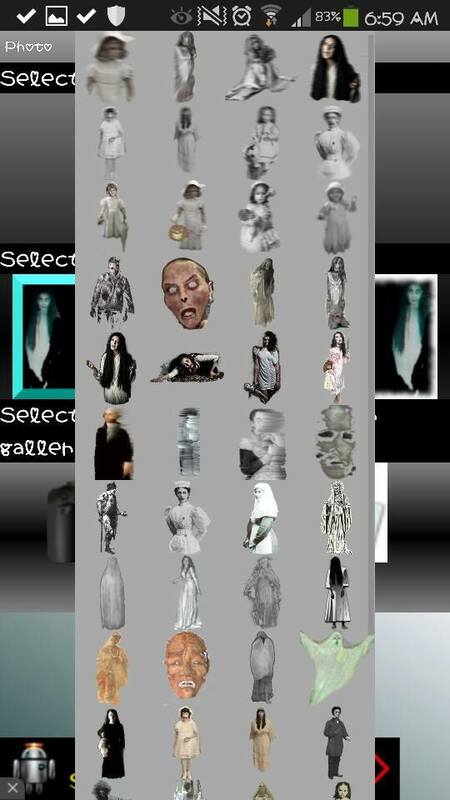 I was easily able to track down the exact image, with the help of the handy index over at Ghost App Ghosts. Check out the photos below: the image is in the app menu in the right hand column, third down from the top. I can't stress this enough---if you are a paranormal investigator, researcher, or just someone who owns/operates a paranormal Facebook page for other para-enthusiasts, take some time to familiarize yourself with the photo albums over at Ghost App Ghosts. As long as people are still being tricked by these images, people will keep putting them out there. And as for the photo above, depicting the little girl through the window of a plane...well, I'll just let you decide on what THAT is for yourselves!